I have been having a recurring dream of cheating on my old boyfriend with my new one. I wake up feeling terrible. “Cheating” in a dream is not often equivalent to “cheating” in waking life. If you copulate with a dream lover, well, as they say, it’s only a dream. I’ve known married couples to dream of other lovers, and the majority of the time the “dream lover” is actually a part of the dreamers’ psyches. Bonding with a dream lover in that situation is desirable because it reflects union between the ego and the unconscious. Dreams are known to play with the meaning of words, so a dream of “cheating” might actually be about any underhanded behavior that “breaks the rules.” For example, a male student respects his female teacher but cheats on a test and feels guilty about it. That night he dreams that the teacher accuses him of “cheating” with a girl sitting in his lap that he doesn’t know. He wakes up wondering “WTF? !” because a). He doesn’t have a girlfriend, and b). He doesn’t have a romantic relationship with the teacher. In this case, the girl in his lap represents his guilty feelings. The student has a bond of implicit trust with the teacher, and he takes advantage of it to cheat on the test. Maybe because he’s otherwise a good student, the teacher would never suspect him of cheating on a test. In which case “cheating” is appropriate on two levels because he cheats on the test and cheats by taking advantage of the trust of the teacher. Dreams sometimes present a scenario of cheating on a spouse as a warning sign. Cheating is often about opportunity, and the dreaming mind knows when danger is ahead. It might then create a dream scenario of cheating to show the dreamer what would happen if the opportunity arose. See also: A compilation of cheating dreams and what they mean. 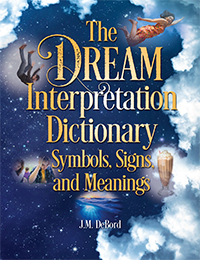 I discuss cheating and other relationship dreams in my book Dreams 1-2-3: Remember, Interpret, and Live Your Dreams. Click on the cover to see the book at Amazon. Hi, recently my wife told me (i’m also a woman) in the middle of the night I was saying a mans name and saying that I’m better than her, meaning his girlfriend/wife. When I woke up I had no recollection of the dream and my wife told me about it and she was upset but also knows I wouldn’t cheat on her. I work with who I had a dream with (let’s call him Mark) but I rarely speak with him. I have never had an interest in cheating or interest in Mark which confused me and made me very upset that this happened. She knows I would never cheat, and especially with someone who I never speak to. I know subconsious dreams are a thing, but I never think about him and I’d like to get some clarity. Mark is probably a symbol in the story and the meaning is based on something you associate with him or the role he plays at work. Do you think you are better than him at the job you do, presuming you do the same job?